On this page we display our terms and conditions that shall govern your use of our website. If you register with our website, submit any material to our website or use our website and any of our website services, you accept these terms and conditions in full; accordingly, if you disagree with these terms and conditions or any part of these terms and conditions, you must not use our website or register an account with us. 1.2 If you register with our website, submit any material to our website or use our website and any of our website services, you accept these terms and conditions in full; accordingly, if you disagree with these terms and conditions or any part of these terms and conditions, you must not use our website or register an account with us. 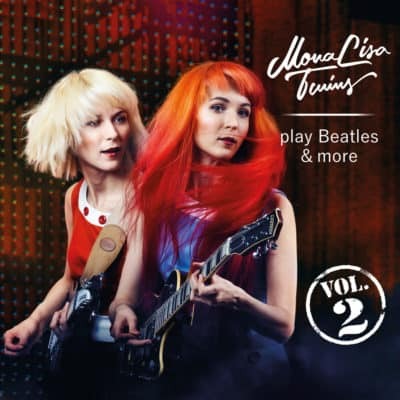 2.1 Copyright (c) 2007-2018 Woolgoose Records/MonaLisa Twins. to these terms and conditions, and in these circumstances references to "you" in these terms and conditions are to both the individual user and the relevant person, company or legal entity, unless the context requires otherwise and you have our express permission. 6.1 To be eligible for an account on our website under this Section 6, you may be resident or situated in any country of the world but you may not have the same rights and protections as you do under UK law, including but not limited to Consumer Rights Act 2015 ("CRA") and Electronic Commerce (EC Directive) Regulations 2002. If you are not resident in the United Kingdom, by registering an account with our website you expressly accept that UK law applies. 7.3 You must ensure that your password is not susceptible to being guessed, whether by a person or a computer program, and you must keep your password confidential. 9.1 The advertising of products on our website constitutes an "invitation to treat" rather than a contractual offer. 9.2 We may periodically change the products available on our website, and we do not undertake to continue to supply any particular product or type of product. 9.3 Prices stated on our website may be stated incorrectly. 9.4 The sale and purchase of products through our website will be subject to terms and conditions of sale, and we will ask you to agree to the terms of that document each time you make a purchase on our website. 9.5 Any product reviews that you submit for publication on our website shall be subject to the terms of Section 13 and Section 14. (a) during the account registration procedure if you are a new customer and have not registered an account with our website before. (b) after you have registered for an account with our website if you are a registered customer already. We will send you an acknowledgement of your order. If your order is accepted, we will send you an order confirmation, at which point the contract between us for the supply of the website services shall come into force. 10.2 You will have the opportunity to identify and correct input errors prior to making your order via website form error messages. 10.3 For so long as your account and subscription remain active in accordance with these terms and conditions, you will benefit from the features specified on our website in relation to your subscription type. 10.4 Given the type of subscription service we offer on our website (membership content with personal and private photos, videos, audio files, forum, games) we reserve the right to vary the content from time to time to keep the membership service up-to-date, relevant and in compliance with a legal obligation to which we are subject, or to protect our vital interests, your vital interests or the vital interests of another natural person. 10.5 Thus, we may from time to time vary the benefits associated with the subscription service, and in case of substantial changes, may give you written notice of the variation (in form of our newsletter). Providing that, if in our reasonable opinion such a variation results in a substantial loss of value or functionality, you shall have the right to cancel your subscription, and we will refund to you any amounts paid to us in respect of any period of subscription after the date of such cancellation. 10.6 At the end of any period of subscription for which you have paid, and subject to the other provisions of these terms and conditions, your subscription will be automatically renewed and you must pay to us the applicable subscription fees, unless you cancel the subscription using the cancellation facility on our website before the date of renewal. 10.7 Our MLT Club membership subscription is a monthly subscription with automatic renewal, and you have agreed that recurring payments will be made automatically every month through the same payment method you have used for your initial purchase of your MLT Club membership. For you to maintain uninterrupted access to membership content, these payments are taken in advance. You can cancel the subscription using the cancellation facility on our website before the date of renewal. 10.8 If you are joining a MLT Club membership you can only pay by credit or debit card or PayPal. Our debit/credit card payment service providers (Stripe and PayPal) handle all transactions in a secure environment and ensure full payment data encryption between this website and their own websites. You can see that from the added “s” in the https:// instead of http:// in the web-address. No payment data are ever getting displayed to Woolgoose Records/MonaLisa Twins or their staff, or are ever stored in our website databases nor on the servers of our hosting company. 10.9 For a payment made via Stripe or PayPal, their current, non-refundable fees as stated in their Terms & Conditions will be added at the payment stage. 10.10 If you cancel your debit or credit cards or your PayPal account or if they expire, your membership will be at risk. If you wish to change your method of payment please log in to your account and follow the instructions. 10.11 In the case that we decide to cease offering memberships, all active memberships will be terminated and no further payments will be taken from your credit/debit card or PayPal account. Any such decisions will be announced per e-mail at least 30 days prior to termination. Please keep your account data up-to-date to make sure to get notified. All communications to your contact details will be considered delivered, and we will not be responsible for you not receiving our communications in case of outdated contact details. 11.1 The fees in respect of our website services will be as set out on the website from time to time. 11.2 All amounts stated in these terms and conditions or on our website are stated inclusive of VAT. 11.3 You must pay to us the fees in respect of our website services in advance, in cleared funds, in accordance with any instructions on our website. 11.4 We may vary fees from time to time by posting new fees on our website, but this will not affect fees for products that have been previously paid. 11.5 We may increase the monthly membership subscription fees from time to time by posting new fees on our website. If you have a running subscription service with us, we will notify you of any price increase 30 days before the next renewal date and give you the option to accept or decline the increase in the monthly renewal price. and for the avoidance of doubt, if you fail to recognise or fail to remember the source of an entry on your card statement or other financial statement (which is MONALISA or MONALISA TWINS), and make a charge-back as a result, this will constitute an unjustified charge-back for the purposes of this Section 11.6. 11.8 If you owe us any amount under or relating to these terms and conditions, we may suspend or withdraw the provision of services to you. 11.9 We may at any time set off any amount that you owe to us against any amount that we owe to you, by sending you written notice of the set-off. 12.4 In order to withdraw an offer to contract or cancel a contract on the basis described in this Section 12, you must inform us of your decision to withdraw or cancel (as the case may be). You may inform us by means of any clear statement setting out the decision. In the case of cancellation, log in to your account and follow the instructions or contact customer service at [email protected]. To meet the cancellation deadline, it is sufficient for you to send your communication concerning the exercise of the right to cancel before the cancellation period has expired. 12.6 We will refund money using the same method used to make the payment. In any case, you will not incur any fees as a result of the refund. 13.2 You grant to us a worldwide, irrevocable, non-exclusive, royalty-free licence to use, reproduce, store and publish your content on and in relation to this website and any successor website. 15.2 You can let us know about any such material or activity by email to [email protected]. 16.3 To the maximum extent permitted by applicable law and subject to Section 16.1, we exclude all representations and warranties relating to the subject matter of these terms and conditions, our website and the use of our website. 17.8 Our aggregate liability to you in respect of any contract to provide services to you under these terms and conditions shall not exceed the greater of the total amount paid and payable to us under the contract. 21.1 MonaLisa Twins, Team MLT, MLT Club, MonaLisa Twins Club, Woolgoose Records, our logos and our other registered and unregistered trade marks are trade marks belonging to us; we give no permission for the use of these trade marks, and such use may constitute an infringement of our rights. 22.3 If you are a consumer and you have purchased any of our website services and there subsists a contract under these terms and conditions in respect of those website services, we will ask for your express agreement to any revision of that contract. We may make such revisions only for the purposes of reflecting changes to applicable law, the technology we use to provide the services and/or our internal business processes. We will give you at least 30 days' prior written notice of any revision. If you do not give your express agreement to the revised terms and conditions within that period, the contract between us shall be automatically terminated and you will be entitled to a refund of any amounts paid to us in respect of website services that were to be provided by us to you after the date of such termination. 23.1 You hereby agree that we may assign, transfer, sub-contract or otherwise deal with our rights and/or obligations under these terms and conditions - providing, if you are a consumer, that such action does not serve to reduce the guarantees benefiting you under these terms and conditions. 28.1 We will not file a copy of these terms and conditions specifically in relation to each user or customer and, if we update these terms and conditions, the version to which you originally agreed will no longer be available on our website. We recommend that you consider saving a copy of these terms and conditions for future reference. 28.2 These terms and conditions are available in the English language only. 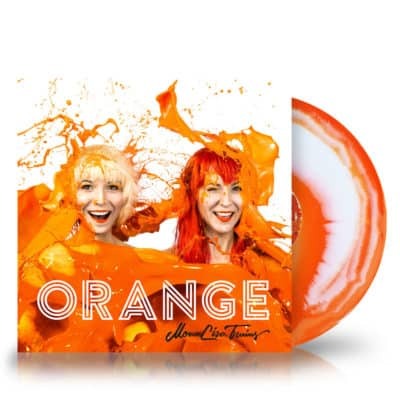 29.1 This website is owned and operated by Woolgoose Records/MonaLisa Twins.